Now we need to add on the schedule. The annual gift is very similar to monthly only that we have to add the month of the year. 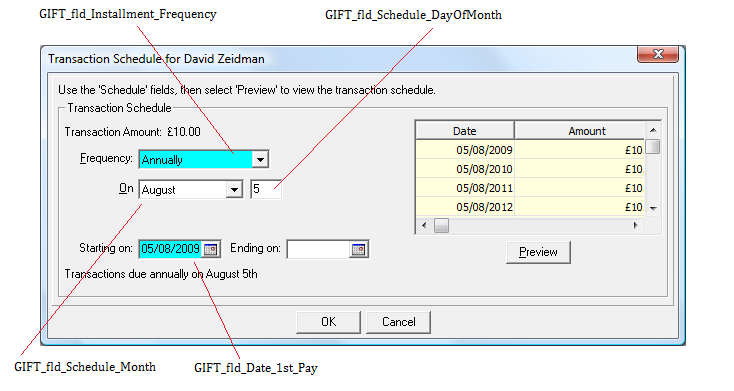 Here I am using the DateTimeFormat object to get the localised month name for May. However if you are in a non-English speaking country then this will not work with RE and you will want to either hard code the values or set the culture to en-US, en-GB, etc so that it pulls “May” and not local version of that month. The diagrams below show the different values and how they are used. 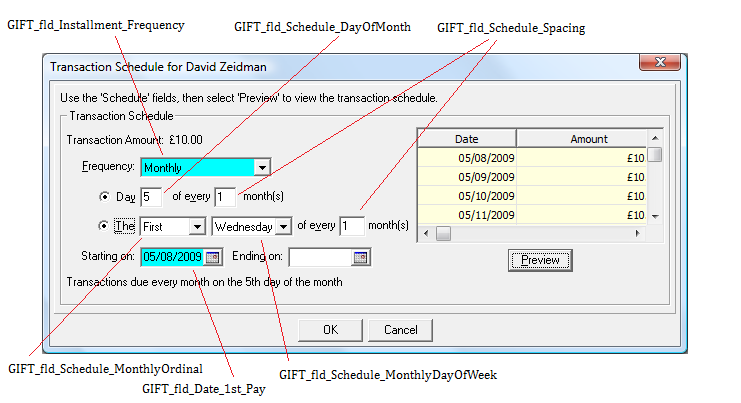 Note that the monthly diagram has been photoshopped to show both the ordinal and the day of the month schedules at the same time. From this you can see it is relatively simple to create any permutation of schedule.